How do you empower people to take control of their own mental health? Who: The Sussex Recovery College are pioneers in mental health care. 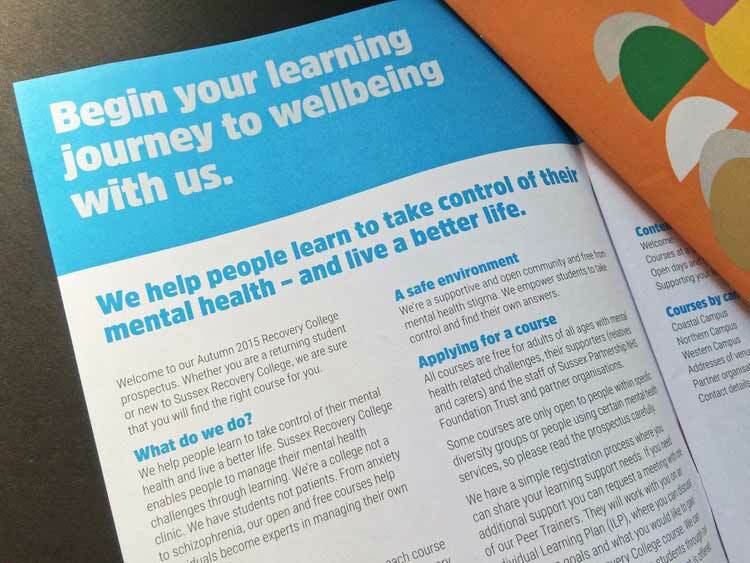 They run free courses for people across Sussex, teaching them to take control of their own mental wellbeing. What makes them effective is the fact that their team is a combination of trusted clinicians and tutors who have first-hand experience of their own mental health problems. What they wanted: Their old branding was outdated, cold and very similar to other NHS services. They wanted to bring the brand up-to-date and do justice to the warmth and hope their services can provide. What we did: Lark ran a series of discovery workshops with patients, tutors and clinicians. 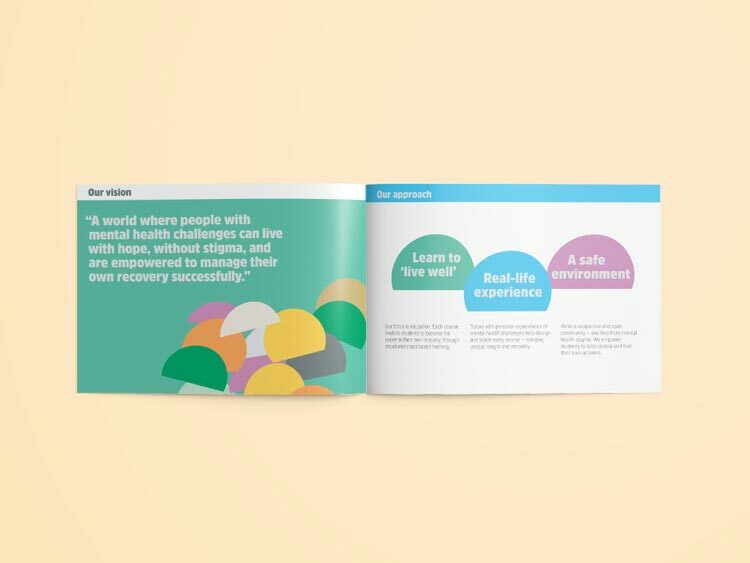 We used this research to create a brand book with a range of visual brand assets (through our full-service brand agency Harrison Lark) and a new vision, mission, values, strapline and tone of voice. The result: The College used the new guidelines to produce their prospectuses. Students and staff are thrilled with the new visual and verbal identity and have seen a noticeable increase in applications to their courses. Working sensitively with a range of mental health stakeholders you created a brand that inspires hope and opportunity. We’re thrilled with the results and how the branding has contributed to the growing success of the college.